I know it is ridiculous but it bugs me when I haven’t got anything to post for a few days; particularly when I’m on a roll as I was the previous week. But last week, the weather was poor and I was busy fishing. I took some photographs but nothing worth sharing. Fortunately we were at the same location a year ago when the weather was better and I took some photos then. 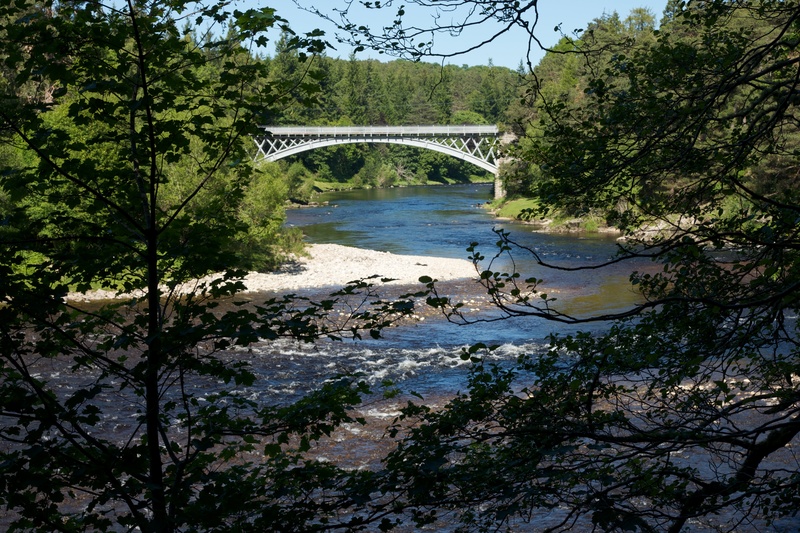 This is yet another rather special Highland bridge; the Carron Bridge across the River Spey which used to carry both the local train and a road. Sadly the train line has long since been dismantled. Posted in Photography, Scotland and tagged Carron Bridge, photography, River Spey, Scotland, Speyside. Bookmark the permalink.